Beer companies aren't falling for Ford's gimmick. 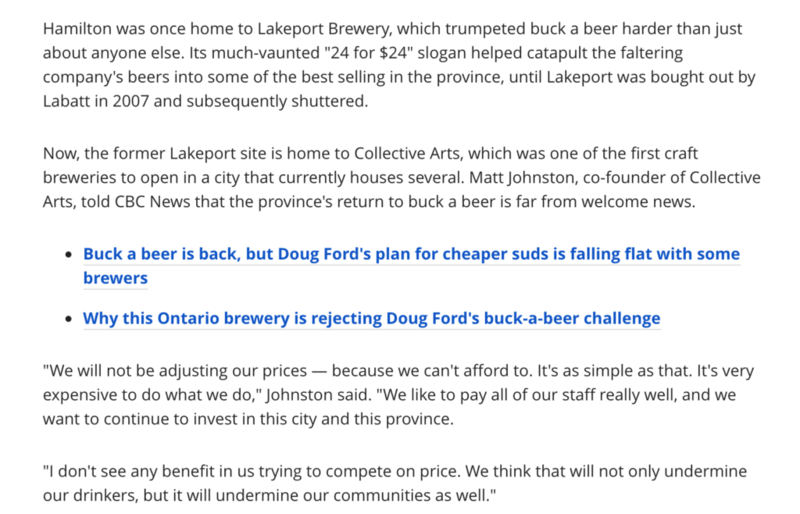 Doug Ford’s promise to lower beer prices is being met with ridicule and anger from Ontario’s breweries. Ford’s buck-a-beer promise is nothing more than a distraction from his cuts to services Ontarians rely on. 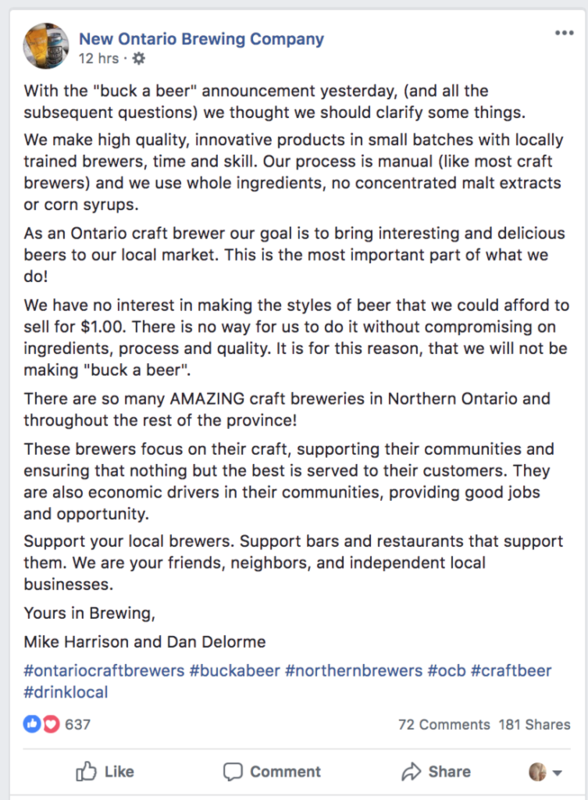 And Ontario’s breweries are not having it. 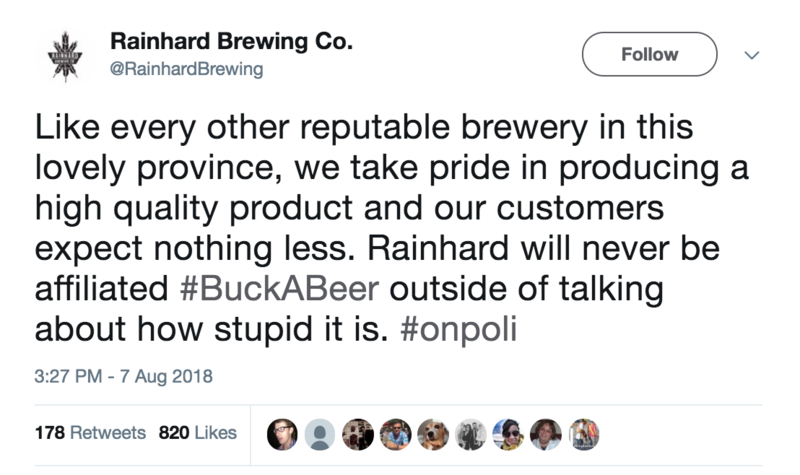 Here’s are the Ontario breweries taking a stand against Ford’s buck-a-beer gimmick. 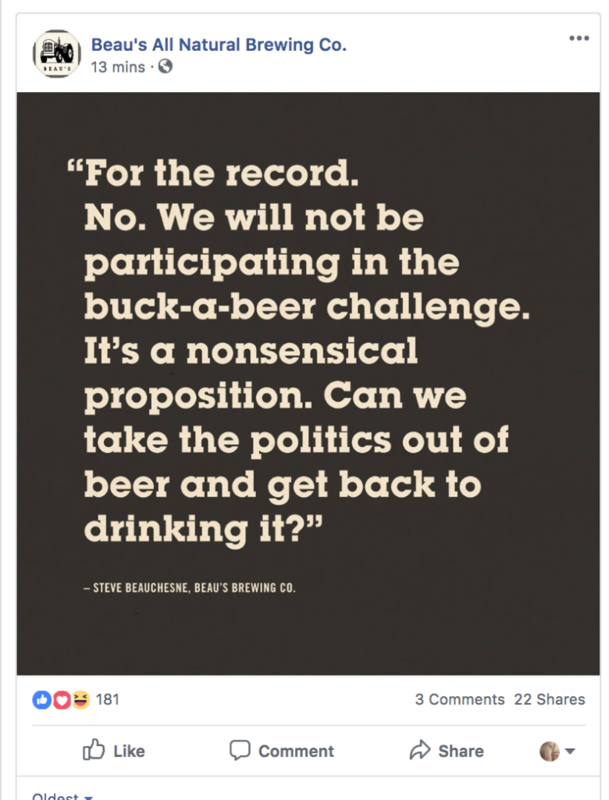 Nickel Brook will not take part in the proposed “buck a beer” plan. We’ve always been about quality & don’t aim to change that now, or ever. We have no intention in joining a race to the bottom. We stand with our fellow craft brewers in opposing this gimmick by Ford. 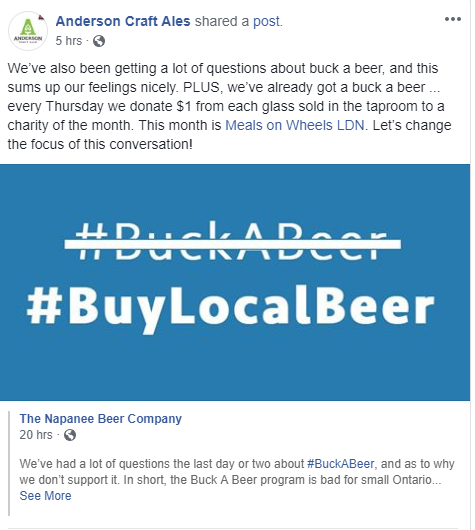 💛 to @MuskokaBrewery @GreatLakesBeer @PeoplesPintTO @napaneebeer @hamiltonbrewery @HTBCbeer @EastboundBeer and all the other Ontario breweries who are refusing to prostrate themselves to the idiocy of #buckabeer. You have my support! 🍺 Cheers! Screw @fordnation with this BS $1 beer plan. 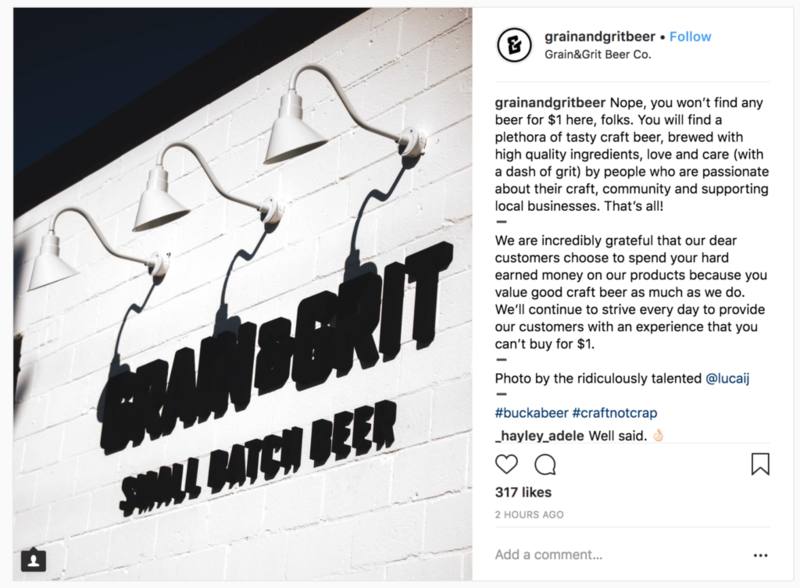 Literally the only breweries that could afford this are swill level international & domestic big brands! I cant make a beer for a dollar let alone make profit. You want to introduce competition? Allow us to have our own retail stores! 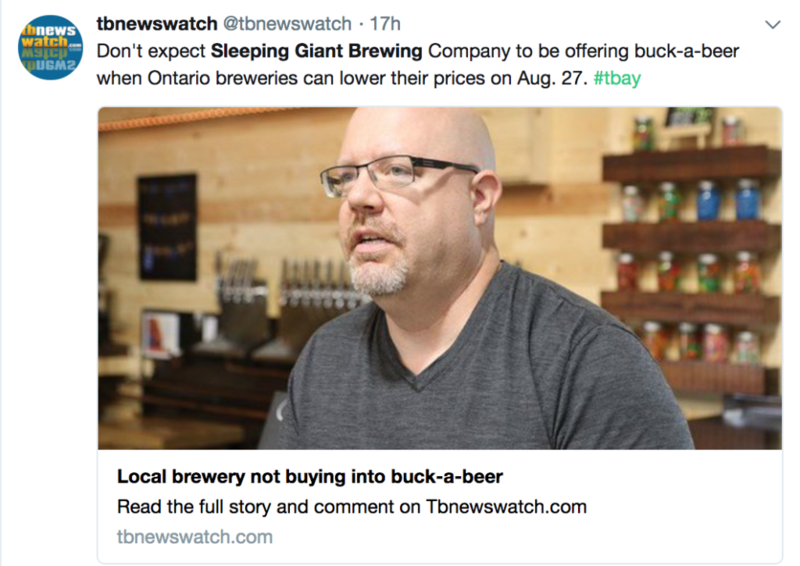 Owner Jason Fisher will be on @metromorning tomorrow and Ontario Morning on CBC discussing ‘buck-a-beer”. What could go wrong? 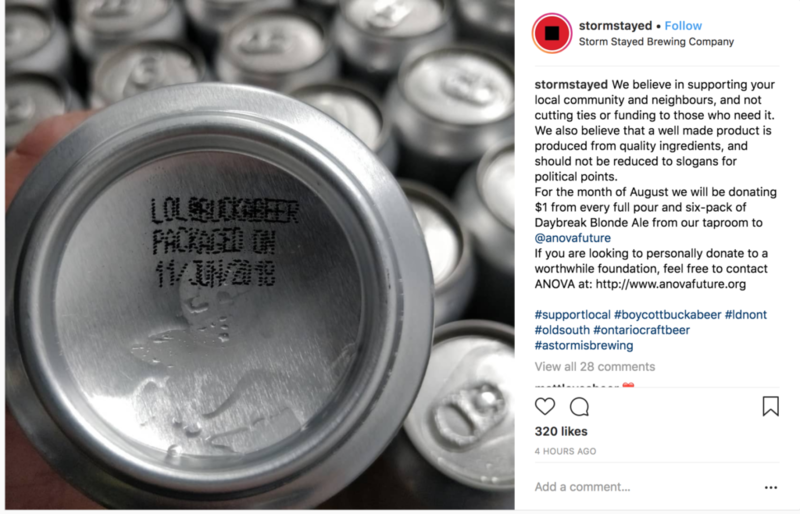 Hey @fordnation, want to provide a subsidy to breweries in Ontario? Here are a few ideas of better things to subsidize than $1 beer (feel free to add on…)…. We are an all-natural product, made using authentic brewing methods which places us in a premium beer segment. 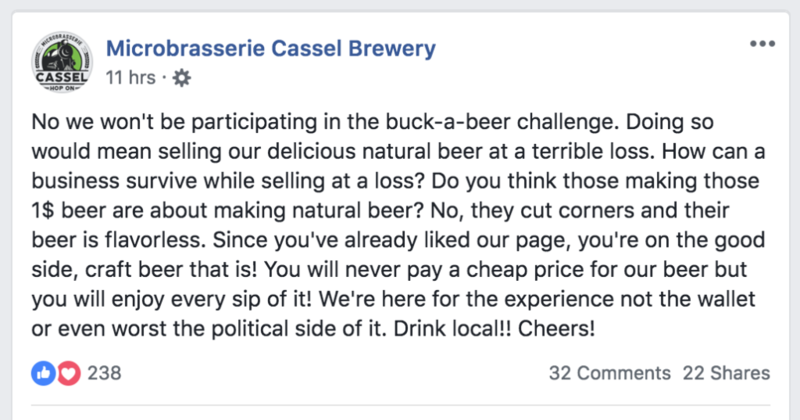 At this time, we are not offering a “buck a beer” to ensure the quality and values of our product. The current minimum price is $1.25. 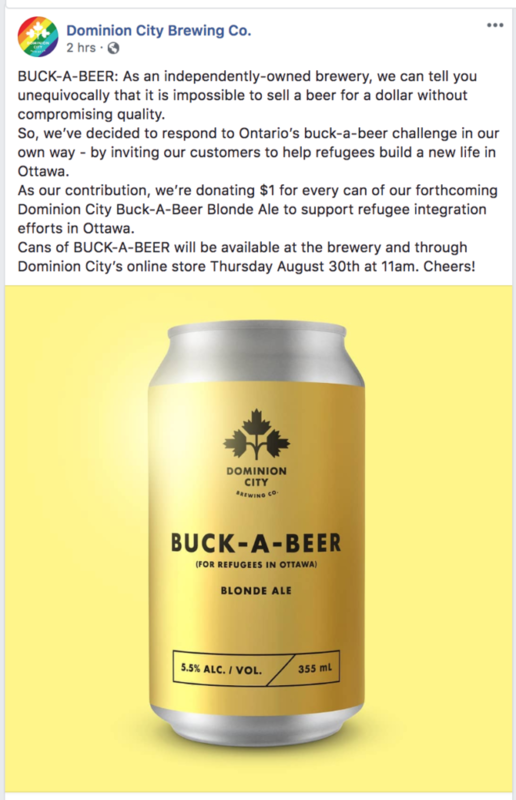 If this was viable wouldn’t there already be a bunch of #Buck25beers available? 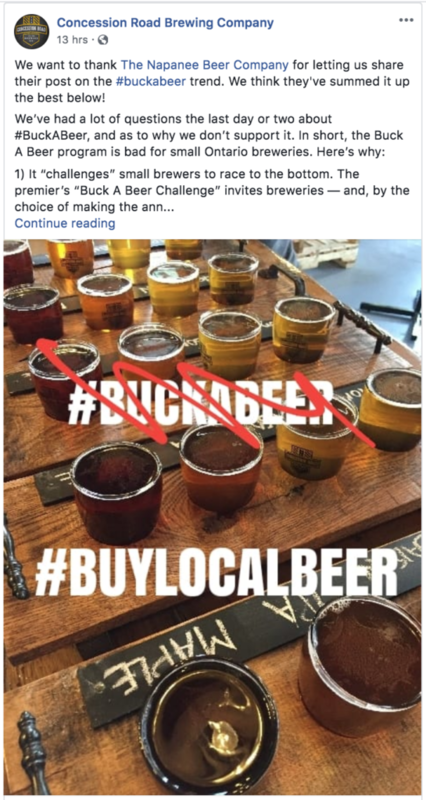 We will not be joining the race to the bottom by trying to sell #BuckABeer. How about #BuckALitre gas, #BuckEach red peppers or #BuckAnHour education! 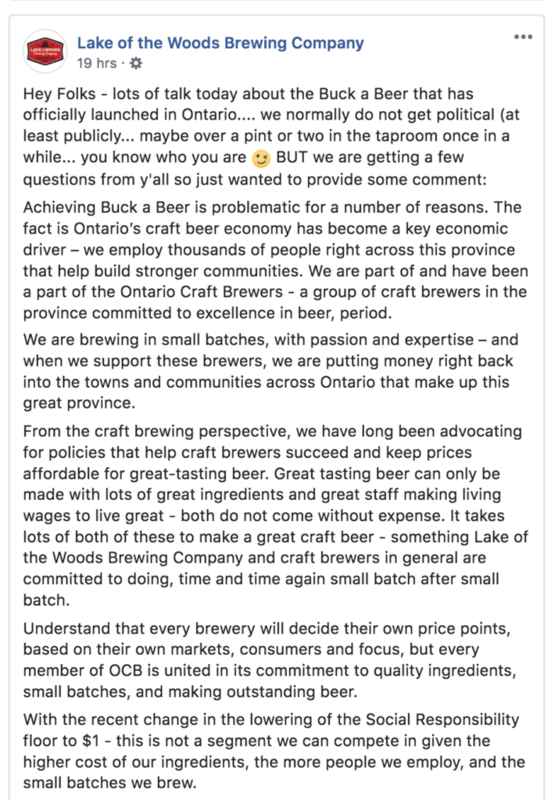 Like most of our industry colleagues, Junction Craft will of course not be participating in the Ontario ‘Buck a Beer’ program, as it is neither economically viable or socially responsible. 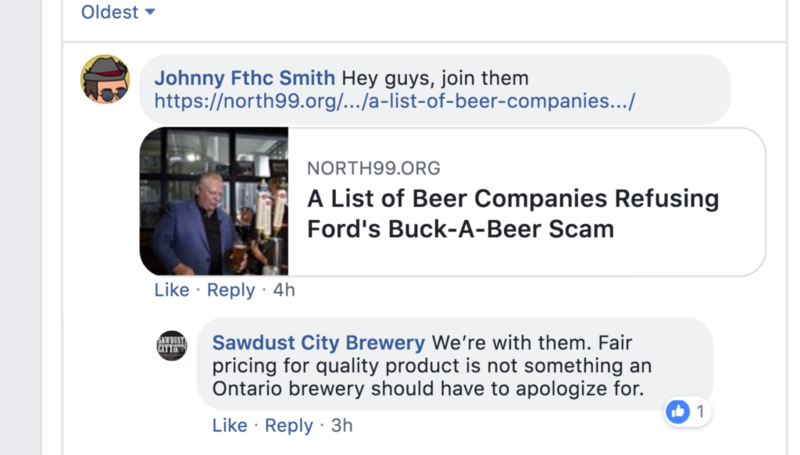 Email hello@north99.org if you know of other beer companies refusing Ford’s beer subsidy.